Can Kettle be called directly from a database trigger? So when rows get inserted, deleted, changed, I want to call a Kettle transformation. Can we call a function in a SQL statement that calculates the fraud probability calculated by a WEKA data mining model? Can we enrich some inserted data rows by external data sources? 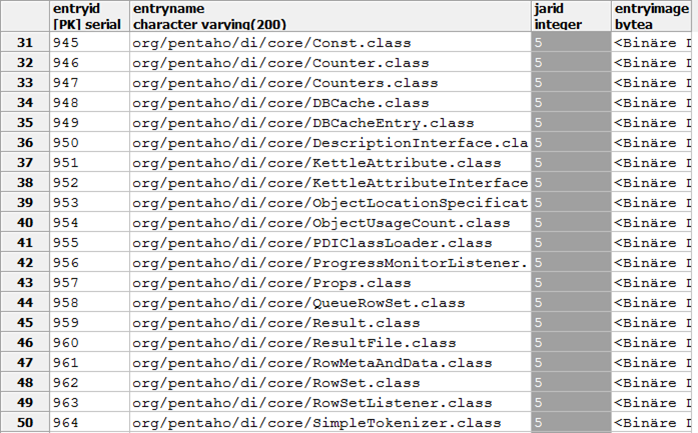 ERROR: could not load library „[…]/pljava.dll“: The specified module could not be found. 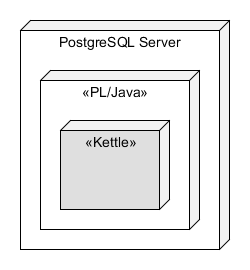 The result of the query and function call is C:\User\postgres since the PostgreSQL service and the JVM runs as user postgres. So, the first part of the tests worked very well. We may need to keep instances of the transformation meta definition. When to clean up? We may need to define a threshold for processing a specific number of rows in a chunk or after a timeout to avoid excessive burden to the database. This was first presented at the Pentaho Community Meeting 2012 in Amsterdam September, 29th 2012 and part 2 with more testings will come soon.